Crimson Chill Loch Achanalt, Strathbran, Scotland. 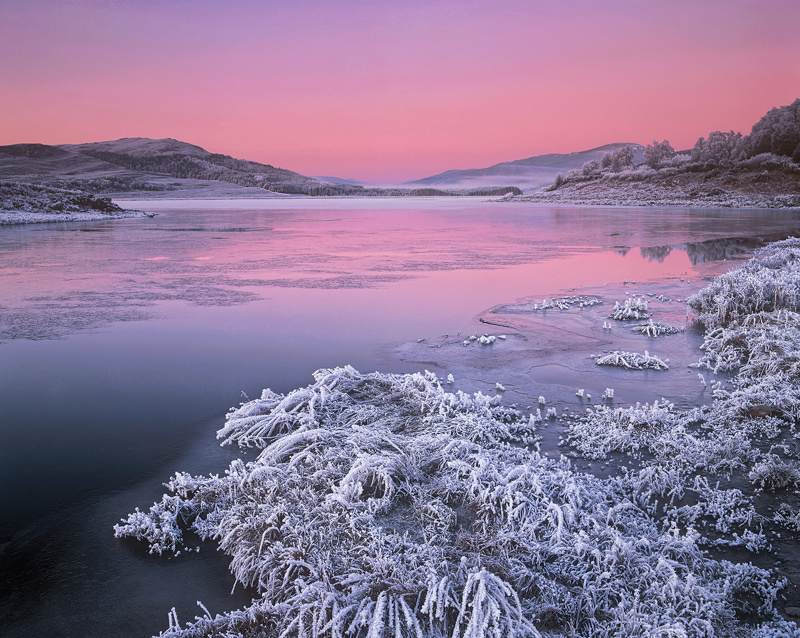 I crossed a railway line, frozen mud and ice bowed reeds to reach the edge of Loch Achanalt to watch a mesmerisingly beautful pink dawn split the indigo of twilight prior to sunrise. The cold was so intense that the hairs in my nostrils froze causing me to sneeze violently at periodic intervals. This is a strong contender for my twelve favourite images and has just picked up a commended award in the Landscape Photographer of The Year Awards for 2009.